What’s Your Chesapeake Bay Dream? Fishing – The fishing in the Bay is fantastic. Stripers, drum, bluefish, flounder, and the ever-present croaker are some of the fish to be caught in the Chesapeake Bay. The Bay is so nice and calm (most of the time) that even if you don’t catch anything much, it’s a nice day out on the water. Fishing is good just about anywhere in the Bay or its tributaries but the hot spots change with the seasons as you’ll see from the fishing reports. Visit our fishing page for regulations, links to reports, and fishing charter information. Boating – The Bay’s calm waters and many sheltered tributaries make it a great place for all kinds of boating. All the waterfront towns scattered up and down the bay are destinations for cruisers, and you’ll see the marinas filled up with both motor and sail boats during the warm season. 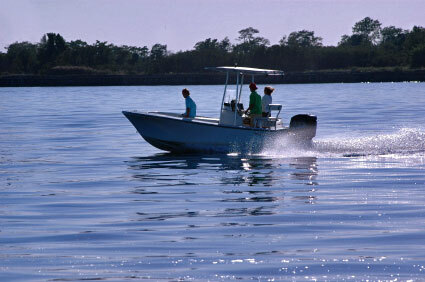 Most fishing boats on the Bay are relatively small with a shallow draft. These are best for navigating the shallows and marshy areas close to shore. Kayaks have grown in popularity on the Bay. 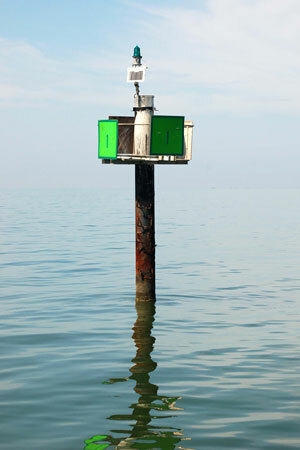 They give you a nice close encounter with the water and are great for easing up on wildlife. You’ll get closer to a heron and other birds in a kayak than you’re likely to be able to do in a motor boat. Travel – We provide information on over 30 towns and cities to visit in the Chesapeake Bay area. The places we’ve picked to feature are all accessible from the water. You can get there by car, of course, but since this site is about the Bay, we wanted to feature the waterfront destinations. You’ll find everything from the urbanized areas of Baltimore, Norfolk, Hampton, and Portsmouth, with all the entertainment and activities they have to provide, to tiny little towns with a wharf and a small collection of shops on Main Street. If you take the time to visit, you’ll find that each of these places has its own charm and something to offer the visitor. That offering might not be much more than a chance to relax in a place that operates at a pace that’s a little slower and calmer than you’re used to. In today’s hurry-up world, that’s something to treasure. Use our map of the region to navigate your way around the Bay and explore all it has to offer. Maryland – Annapolis, Baltimore, Cambridge, Chesapeake Beach, Chesapeake City, Chestertown, Crisfield, Deal Island, Deale, Easton, Havre de Grace, Kent Island, North Beach, North East, Oxford, Rock Hall, Smith Island, Solomons Island, St. Mary’s County, St. Michaels, Tilghman Island. Virginia – Cape Charles, Hampton, Irvington, Mathews County, Norfolk, Onancock, Poquoson, Portsmouth, Reedville, Tangier Island, Urbanna, Virginia Beach. Chesapeake Bay Resorts – Stay at one of the Chesapeake Bay region’s resort hotels. Chesapeake Bay Bed & Breakfasts – There are many excellent bed and breakfast establishments located in the regions towns and rural areas. Chesapeake Bay Vacation Rentals – Rent a home-away-from-home for a quiet getaway or fun adventure with family and friends. Chesapeake Bay Campgrounds – Stay close to nature at one of the Bay region’s many campgrounds. 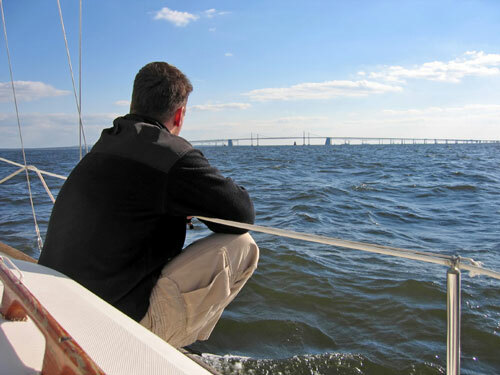 Chesapeake Bay Cruises – There are several ways to explore the Bay’s waterways by boat. A partnership of the conservation and restoration of the Bay. The Chesapeake Bay Gateways and Watertrails Network.